Replacement teeth, a full set or just a few. It is an indisputable fact that as people grow older, teeth are lost and will require replacement. Fortunately, today’s dentures are manufactured to look very natural and can be made from different materials. The main options are: full acrylic, metal based (Cobalt-Chrome) acrylic and flexible Valplast. 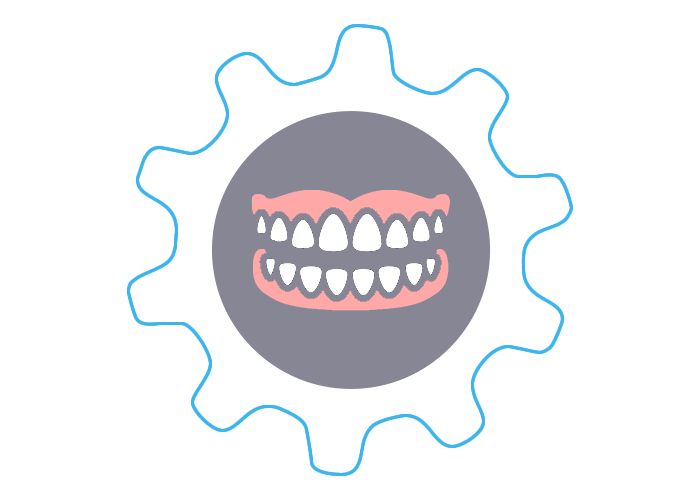 Based on your dental impressions, dentures are custom-designed to fit you. The right kind of denture that suits you can only be determined at a dental consultation. Your dentist, will work with you in order to ensure your dentures will look and feel like natural teeth. The entire procedure will usually take about 5 or 6 visits. You will be asked to visit your dentist regularly for denture fittings so that alterations or adjustments can be done. It is important that the new dentures feel as comfortable and natural as possible. The problem with partial dentures is that they only replace a few of your teeth but may feel uncomfortable. In order to create a tight denture, the dentures have metal clips that fit around natural neighbouring teeth but because of the metal clips, they can be unappealing. A Valplast flexible denture is a removable partial denture that is very strong and yet comfortable, natural-looking and almost unnoticeable. They are surprisingly lightweight and do not require metal clasps. Made from durable plastic, these dentures can be placed securely around the existing teeth. Because of the strength of the plastic material, the resulting denture is not bulky and so offers you more comfort.